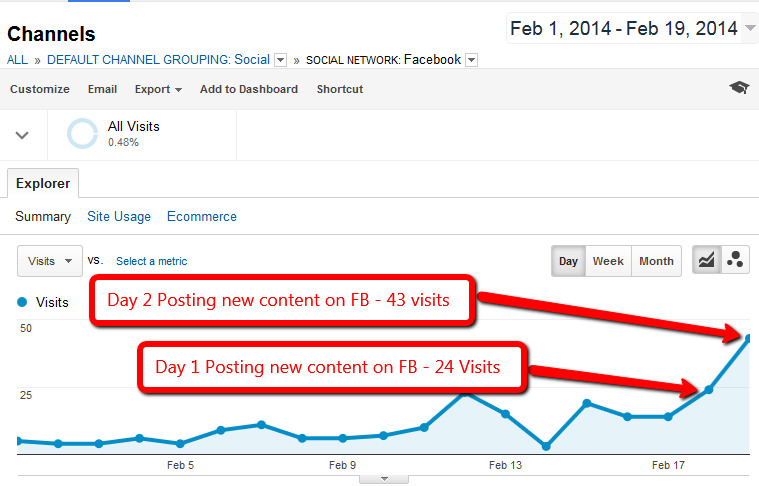 Using Social Media to Grow a Niche Site: Case Study Update! I wanted to provide another update today on one of the new sites that I just purchased. I discussed in a recent post that I've purchased 2 sites; one of which gets most of its traffic from Pinterest currently. That's the site I want to cover in-depth today. I'm not going to share the URL today, but I do want to provide other details. This is a site in the craft/home projects niche and gets almost no traffic from SEO. As mentioned in the previous post, this site receives just under 3,000 visitors a day, most of which are from Pinterest. Also, as a reminder when I bought this site, it had nearly 1500 posts; all of which were curated content. And I use the word, “curated” very lightly here…the content is basically copied from other blogs with a link back to the original source and maybe a few sentences written/re-written. In addition, because the content was copied, the site itself was banned from using Google Adsense, as I recently confirmed from Google. 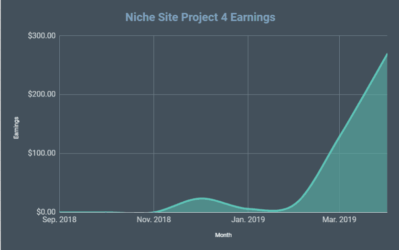 So, I've decided to just ride the current strategy of getting traffic from Pinterest as much as possible and seeing if I can increase the earnings. I do have a few other ideas up my sleeve for improving traffic and earnings, and I'm going to give a detailed review of those plans below. When I bought the site, it was earning about $7 to $8 per day. I'm happy to report that over the past few days, its been clocking in at about $12 per day! Nothing is certain and few days could just be a blip; but I still wanted to share what I've done in case the earnings really are permanently higher. First, I improved the earnings from Media.net Ads. Media.net is like the Google Adsense of Yahoo and Bing. If you can't get in with Google, the next best option is Yahoo and Bing. The ads don't pay quite as much, but they are a great alternative that pays more than many other options. So, what did I do? Nothing fancy, I made the ads bigger and matched the ad colors to my site. It wasn't rocket science. In order to get your ads in front of people and clicked on, put them where readers are looking. I now have 2 units sized 600×250 pixels in the content area of my posts; one near the top and one in the middle. Then I have one ad unit in the sidebar. Two of these ad units are styled to fit my site; I'm testing them all to see what converts better. So, far the units styled to my site appear to be converting better. The previous owner was making about $3 to $4 per day from Media.net ads. My past couple of days have been in the $11 range. The previous owner had a few other ad options that I've removed which made up the other few dollars a day he was making. I also have both Info Links and Kontera Ads on the site, that bring in another $1.50 to $2 per day. So, at $12 or $13 per day, I've already improved the earnings of the site by $100 to $150 per month (if things continue as they are)…sweet! Another change that appears to have helped is a theme change. The previous theme was having issues and I wanted a cleaner look anyway. So, I switched the theme over and that is when I matched the ads to the theme. So, these 2 simple changes in conjunction with each other, have appeared to improve the earnings. We'll see if it “sticks”. As mentioned last week, I wanted to try at least one original content article to see if it can rank in Google naturally. We picked a keyword that gets 33,000 Local Monthly Searches on Google and has a Keyword Competitiveness (Long Tail Platinum metric) of 33. Its an ambitious keyword, but it will be a great test to see if we can rank at all in Google. The site itself has nice link metrics and carries some authority. So, we are simply going to do internal linking back to that keyword article that we've selected and see what happens. If it looks like its ranking anywhere near the top of Google, we may put some more effort into external page link building. Plans to Get More Social Traffic…Facebook! Despite some of the small improvements made so far, perhaps what I am most excited about is the plan that Perrin and I have to start experimenting with Facebook traffic! 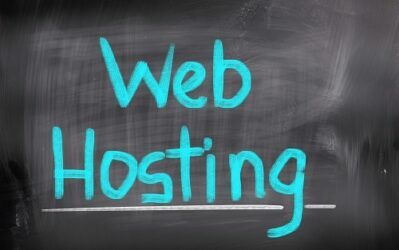 As you may have read recently, Glenn from ViperChill.com has posted a couple of times about sites getting traffic almost exclusively from social traffic. In particular he reviewed ViralNova.com, Upworthy.com and others that drive traffic primarily through the use of catchy or shocking article titles that lend themselves well to being virally shared. Its funny because I kid you not, a few days before Glenn posted those articles I was researching and dreaming about the possibilities of an Upworthy type clone; after reading that they were the fastest growing media company of all time. However, I suspect thousands of others were thinking the same thoughts; as evidenced by the many clones out there. So, let me just state very clearly, I am NOT going to create a clone like Upworthy or ViralNova. However, I do want to see if I can apply some of the things that are working well for them into this small site that I purchased, and perhaps to another big project down the road (if these tactics work) in a specific niche. Overall, what I'm doing with my new site will be small potatoes, but I'm hoping to learn what can be done with social traffic (how to generate more and build a fan base), and then perhaps build a larger site in the near future that has more of a focus on social traffic rather than strictly SEO. This “Pinterest” site that I purchased actually has almost 4,000 Facebook fans already; but nothing has been posted on Facebook for over 6 months. So, its been a dead page…but I'm hoping to revive it! In order to start getting more traffic from Facebook, we did something very simple and will be experimenting with it for the next week or 2. Since the site has over 1500 pages of content, we sat down and selected several of the posts and scheduled 3 Facebook posts a day to go out over the next week. So 21 Facebook posts will go out over the next 7 days, all of which is just sharing our old content. Nothing original other than a simple Facebook headline. Perrin spent about 2 hours writing the headlines and posting them to Facebook. Now we sit and monitor. I only have stats from 2 days so far, and the traffic still isn't that great, BUT it is an improvement. Over the past 2 days, the site has gotten 67 visitors from Facebook. That's a nice increase already! However, my prediction is that by the end of 7 days, we will be getting more and more visitors from Facebook by simply posting on a regular basis. The reason? Because our Facebook EdgeRank should improve a little by then. I'm not going to cover EdgeRank in detail, you can learn about it here. Basically, its a formula that Facebook uses to determine if your content will get shown on users timelines and how often. So, even though I have nearly 4,000 Facebook fans; most of those will never see the content I post because of a lower EdgeRank. However, my prediction is that as we post more content and get even just a few more likes and shares each day, our reach is going to be quite a bit better by the end of the week. I don't know for sure, but that's my prediction: by doing nothing more than posting 3 times a day for 7 days, we will have a better EdgeRank and total reach for each of our posts. We only started posting on the 18th, so you can see that going from nothing to something is a huge % change. I'm really looking for the “Post Reach” and “Likes” graphs to improve by next week. Building a Larger Socially Driven Site? If we continue to see improvement with our Facebook engagement, I may decide to test Facebook advertising to increase post reach and fan base. If the returns are worth the investment in a larger Facebook audience, I'll do it! As mentioned, I know that this site is a small deal. But if I can hone some social media skills that I didn't have before, it could be a huge win. Perrin and I have been strategizing like a couple of geeks over the past week or so about website ideas that we could start that utilize alot of these social media tactics. In a nutshell, if you can produce content that is worth sharing (doesn't have to be with shocking titles like Upworthy.com necessarily), you can buy an audience and grow it naturally at the same time. Let your mind think about that for a while. So, the focus is indeed on this small niche site for now, but the long term goal is to take the skills learned here and apply them on a much bigger project. Overall, I'm excited to see how some of these experiments turn out! And of course, I'll be sharing the results of everything right here on my blog in a future post. If you have any questions or thoughts, please feel free to comment below. I look forward to hearing from you. Seems like a good plan for this site and certainly something interesting to follow. I’m always surprised at what gets shared on places like Pinterest, even in extremely boring subjects there are people who take an interest and share. Thanks for sharing this. I know nothing about social traffic and I have to say I need to learn it as many are saying it is the best traffic you can have. Thanks again for sharing your experience. I’m so stoked to work on this one! Social media is fascinating. And you’re totally right: we’ve been geeking out on this stuff hard! Ha. I’ve been experimenting with Facebook ads quite a bit lately and one thing I noticed is – buying traffic from Facebook was not converting into clicks on AdSense. it seems like Google is blocking Facebook to AdSense arbitrage – even if it’s not a direct arbitrage attempt in some cases. This is only my experience on two sites I haven’t found any recent information on it. You mention a couple other ad networks in this post so I’m guessing you’re not going to attempt to monetize with Google AdSense? On the topic of social media, I was curious what plugin are you using to get the social icons sliding on the left frame of your articles on the razor site? Or it that custom code? I’m not Perrin, but I think that plugin is called floating social media or something… floating something. Nice job on the site, thanks for letting us follow your progress. I was wondering, are you happy with your infolinks implementation? I always view sites that have infolinks as suspect (spammy), but if I earned a couple bucks a day with them I would probably keep it too. I have been using Infolinks for almost a month now. Most of my contents are video, yet I manage to make some good money so far. Try it. 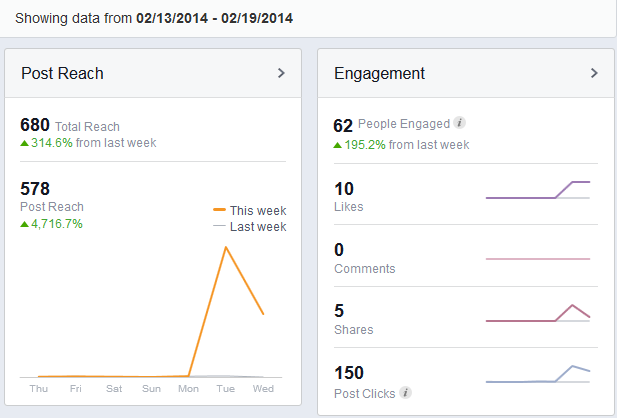 These are great results for a Facebook page which has been Inactive for the past 6 months. Maybe someday, traffic from FB will surpass Pinterest traffic . I think everyone will get new skills even watching your experiment. What plugin use for facebook posting? I’m just using Facebook – they have a scheduler. I saw the future. I definitely will test with Facebook and other social networks. I like how small changes that you’re making are already showing positive results with an increase in traffic and more importantly, revenue! Looking forward to further updates on these sites you’ve purchased. What is the demographic on Pinterest (other than primarily female)? With FB losing interest with the younger crowd, I would think that this strategy should work wonders. Great work Spence and Perrin! This is a big undertaking, but it looks like you have a lot of the pieces needed, and you’re on your way with the project. I just wanted to give a few more thoughts on what you can do (you’ve given us all a TON of motivation, resources and info, so I wanted to give back if even in a small part). First, make sure that you use the links that are created within FB whenever you paste them into the post. FB will give higher weight to them. Once that action click-link box pops, you can delete the link in the post itself. Next, while doing three posts a day, you might also want to have three images a day. 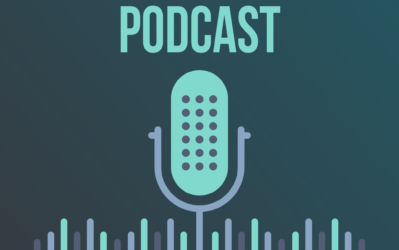 Place the URLs on the image at the bottom or top, along with the logo of the site and something that is actionable within FB itself to turn the viewers into broadcasters (we like ‘green’…what’s your favorite color? – you get the idea). The last thing that you might also want to do is use YouTube to magnify a lot of the weight of the EdgeRank. Have the videos be little 30 second spots covering the article, then you can use the videos as posts inside of FB for a bit of added weight for EdgeRank. The warning with this, is that while not only Google and FB like using YouTube for social, it could push away some actual FB fans. I’ll be interested to see how this pans out for you. My experience with Facebook has been only so so….I’ve found that, unless I pay to “boost” my posts, they hardly reach anyone. And even when I do boost then, engagement is low–which might be a reflection of my content, or a reflection of just how many “real” facebook users are seeing the content I pay to promote. I’ve been getting in Facebook ads recently and this post was very helpful. I haven’t even heard of Edge Rank before. Just curious what program are you using to schedule out the posts? Could be worth looking into – its free. could you share a link then? Anyway, thanks for sharing all this cool stuff here! P.S. : It’s great to follow actionable advice, I copied your Amazon strategy and have my first site earning $70 a month and growing! Not much, but hey maybe I can scale up? I will be very interested to see the results from testing different ad positions. Is the new theme a responsive theme Spencer? It seems that mobile-enabled is starting to play a bigger part in determining ads that are served up to sites. The charts are very encouraging. It’s great being able to ‘watch over your shoulder’ as you trial various strategies Spencer. Thanks!! I’m also using Pinterest to drive some traffic to my site. If it isn’t a secreat… how many Pinterest followers do you have that you get 3000 visits daily? Regarding the change away from Google Ads to ‘Media Net’ – are you saying their treatment of curated type content is more relaxed? I do not know about this network so had a quick look at their site. They appear to say that they are careful about who they work with? What is you experience of Media Net? Media.net looks at each site and approves (unlike adsense); so they viewed my site and approved. The experience has been good. Thanks for the interesting reply, this is new to me and very useful (as usual). Thanks for your insights Spencer…do you still have adsense on your other websites since Google banned you from using adsense on your pinterest-traffic website? Hi Spencer, great info as always!! Thanks for the tips Claudio! How big is your FB post reach when you attach a link, and how big is it if you simply post a picture? Are you not using Google AdSense anymore? Just curious about that. Thanks for the reply, Spencer! Are you also planning to experiment with other social sites for distribution and visibility? If your FB experiment works out well, I’m sure you might wanna try out Twitter or Tumblr? Great idea for growing traffic without google. I’m just learning to use FB as well, do you use a plugin to show the FB page on the website? Like a widget on the side? I’m using one that shows an active scroll of the latest posts on my niche site itself. Do you think it’s a good idea or waste of good space. It’s in the sidebar by the way. Thanks! If done properly, its a good idea. Loving your work so far on this. Just curious – your website generates most traffic from Pinterest (about 30K based on your screenshot). But compared to visits from your other sources, do Pinterest visitors spend more or less time on your site? For the company I work for, Pinterest is our highest source of referral traffic, but average time on our site is about 5 times less than visitors we get from Facebook. My guess is visitors are clicking on the image which links to our blog, and then they bounce out. Let me know if you want tips on Facebook ads as I do this in my day job. Hey Spencer and Perrin, lately even I have been doing the same thing – posting 3 posts a day on Facebook although my fan page have barely a 100 fans as yet but I am trying to make the page filled with content before diving into FB Ads for getting fans. Yep, saw that video…definitely interesting. Pat flynn is getting very good results in his niche site duel with a social media approach.. I think it’s a great oportunity to see a real case study of social media influence in our niche sites!! Nice work Spencer 😀 Just included this post on my weekly roundup. I have tried with facebook advertising and got like 400 likes in 2 days with $18 spent. I’m thinking about a case study to build a site from grow-up with only social traffic. Yep, good idea. This is going to be the next big project for Perrin and I.
I’m assuming you repost the photos with the “copied” content, correct? How do you (or the previous owner) approach the permission aspect of using the photos.. do you ask, or react only if they send a takedown notice, etc. It seems like a potential nightmare if someone decides to sue over copyright infringement. I’m sure you’ve thought about this so I’d be interested to hear your position. great job but can you tell us how can we get traffic from paintres? This was a great post. Do tell us how much you paid for a site that gets 3000 visitors a day. Very curious. Wondering if I could afford something like this. I already did in the last post (linked to in article). Great Post as always Spencer! Thanks for all you do! I was curious – I noticed Perrin has 200 facebook followers. Were those achieved through FB advertising? This isn’t really relevant to this article, but it was a very good read! On Perrin’s homepage, the table used to display the price of each razor, now there are dollar signs. Was this done on purpose to get more people to click through to Amazon? It was done because prices change alot. I like your idea engaging FB. I have niche site I am trying to build. What are the steps to create a FB page and tie it to my site? 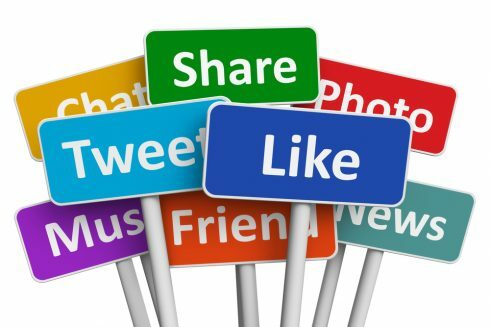 When I add new content to my site, how should you go about sharing it on FB? instead of building a forum on your site,will it be better to start a community on FB? The problem I see is how do you categorize the discussions and subjects on FB? My site deals with gardens and after years of discussions how does some one search through it on FB? My site is tiny now but o have hopes it will grow big. If you don’t have the answers, what resources do recommend? Lots of questions – maybe for a future post. For now, just copy and paste those questions in Google, you’ll get lots of great resources. Great experiment on facebook ads. On the fence to see if you can scale it up. Are we allow to add media.net and info link together in a post? 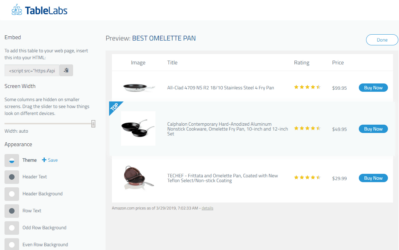 What about adding together with google adsense to see which platform make more money? What do you think Spencer? Sure, all of the above. Hey Spencer, I sent you an email through your contact page. My phone auto-corrected your name to Steven, and I apologize for that. How long does it usually take for you to respond to emails? Posting 3 times a day seems a little extreme for Facebook. Are you not worried that going from 0 times to 3 times per day will scare off some of your Facebook fans? Nope. In fact, I’m talking alot with others that do really well on Facebook. Posting even 9 or 10 times a day is not too much if its good content. Facebook is really a niche growing community, I noticed that there are ton of hungry buyers on FB itself. Well, that’s already a good improvement on what the site had, Spencer. I’m looking forward to see what ideas you put into action to improve the site’s traffic and earnings, especially what happens with the traditional valuable content for organic search your testing out. After seeing this I doubt if facebook traffic is worth the effort.Do you? Hi Spencer, with all the recent Facebook Algorithm changes you can post much more than 3 times a day as most of your posts will NOT be seen by your fans. Just for your info – it’s not just about edge rank these days (after the FB algo. change). The new Algo. takes a lot of parameters when deciding when to show your post. In addition – it would be interesting to know how you convert your FB traffic. 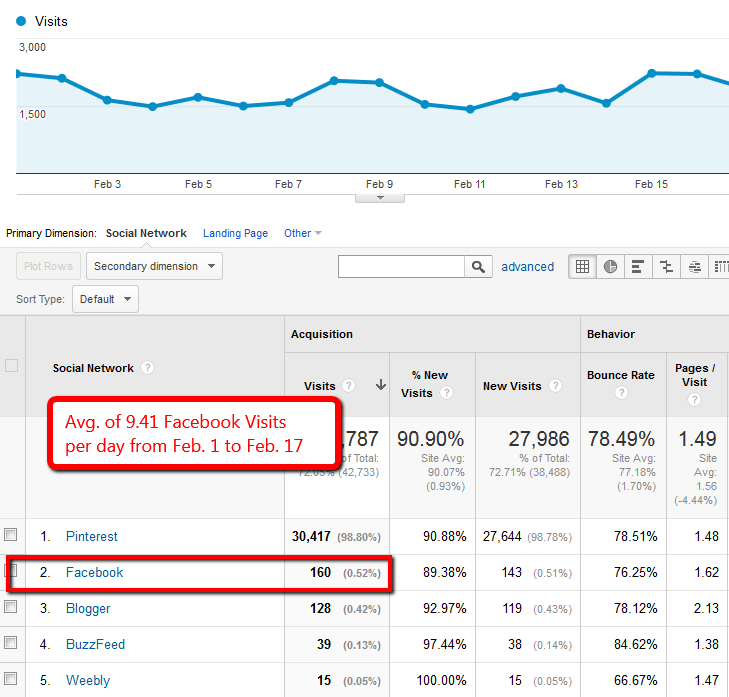 From my experience a lot of FB traffic is coming from mobile devices which have low CPC and RPM (for adsense) . Good Luck ! That is a nice improvement after less than a month. You can also increase the earnings by hiring someone who will tackle the content 100 at a time to make them unique. And then you can try adsense again. To be quite honest with you, I have never used social media on my sites. I have always ranked then with SEO (I also do most of my work with autoresponders). However nowdays I’m a bit concerned as Google keeps changing and breaking the game. I recently started playing with a couple of social channels but landed up just wasting time and over interacting with my potential buyers. I’ve never come across a social media aimed at selling products (there are plenty there that talk about making your clients feel special and so on). Do you guys know any decent course out there, that could help me with my social media? Am sorry if this my Question is a little out of topic, but i do like to know if it is safe to point High PR Links from one blog to two niche sites hosted on the same hosting account? As always, I learned a lot from it. Wonder if i can customize the size ad and make it bigger like 400 x 400 and make the colour same as the site? Does that improve the ctr? BTW, how is your site doing in term of media.net? Please share with us in your next post. 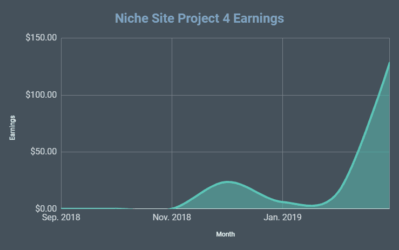 I recently ranked a new niche site (90% Adsense revenue) in the #1 spot in Google with 6700 searches per month with (wait for it…) ZERO BACKLINKS and 100% social signals. My biggest and most effective weapon being Tumblr, which I’ve never used before in my life, not even for personal use lol. I grew a Tumblr page in the same niche with over 850+ followers simply by following other users in the same niche. Each image I posted on the Tumblr page linked to my niche site home URL and sometimes to individual pages. After a week of doing so I noticed my site starting to climb 5 spots a day in Google for my main keyword! I also grew decent sized followings on Twitter, Facebook and Google+, but it was Tumblr that really made my site start to climb. Obviously I won’t be posting the site itself or the keyword for you and others to exam on your own, so you’ll have to take my word on this one, but I can safely say that I think proves that it’s not so much about backlinks and statistics as much as just proving to Google that your content is valuable overall and has a following. Surely something I’ll be doing for all future websites! Matthew, Did you mainly post images to Tumblr? Any text? I’ve never come across a social media aimed at selling products (there are plenty there that talk about making your clients feel special and so on). i have tested pinterest but it working for me.Maybe i will study more. Thanks for sharing your experience with us. Using social media sites to reach a large audience base is much pretty good now. I look forward to actually increase my social media engagements just as you are experimenting.